Sharon Greenman was born on May 10, 1945 in Russel, Kansas. Daughter of Dale Sheldon and Alfreda Herman she traveled and lived in California, Alaska and moved to Oregon. She died on February 7, 2019 at 12:28 P.M at Riverbend Hospital. 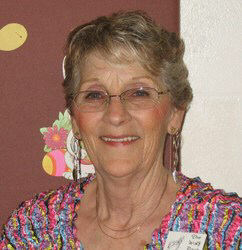 She was a President and Treasurer of multiple organizations in the square dance community. She dedicated a lot of her life in educating and teaching others in the art of dance and music. She was a beautiful, amazing and an outstanding women who cared for her family and so many others. Always asking what can I do whatever the situation. "That was MOM." Her survivors include: Two sons and two daughters-in-law. She also had 8 grandchildren and 9 great grandchildren.